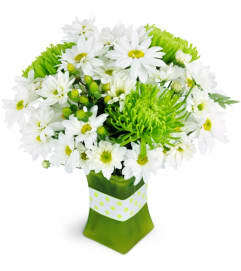 Green flowers are soothing, elegant, and will convey your best wishes for any occasion. Symbolizing resilience and youth, green bouquets from Jane's Floral Dreams feature blooms ranging from roses, to orchids, and more - a wide variety of fragrant flowers to celebrate a birthday or any special new beginning. 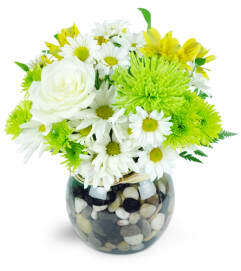 Jane's Floral Dreams is a Lovingly Florist in Saskatoon. Buying local matters. Discover how Lovingly supports local florists. Copyrighted images herein are used with permission by Jane's Floral Dreams.